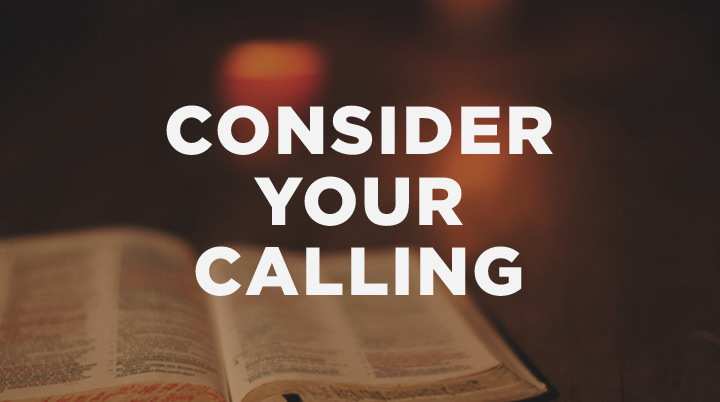 I’m in the process of being ordained, and its gotten me thinking a lot about the notion of calling, since ordination is essentially an affirmation of a calling to ministry. In my experience, calling is to my ministry what justification is to my salvation. It is where I must constantly turn to find stability and hope and perspective; it is the north compass by which to evaluate everything else, without which I’d be lost at sea. I’ve learned that I need to ground myself in my calling when I receive feedback from people about my ministry, whether the feedback is criticism or affirmation. Just as hunger is my body’s way of telling me that I need food, disproportionate attention to human opinion is my soul’s way of telling me I need to re-center on Christ. The other day I received an affirmation, and (I’m now embarrassed to say) I noticed this thought sneaking in: “if so-and-so thinks that, then I must be okay.” A moment later, by God’s grace, I realized the Christ-diminishing insecurity this thought represented, and I repented and asked Jesus to set my eyes on Him. It helped me to think about this question as I did so: what is the highest possible validation I could ever receive in ministry? Lots of new people coming each week? Visible, spectacular fruit? Words of affirmation and recognition from other ministry leaders I respect? None of these things could ever be as forceful, powerful, and stabilizing as what I already have: the calling of Christ. To be called means that Jesus Christ, the One described in passages like Colossians 1:15-20, has established my ministry. What could possibly add on to that? Wouldn’t all the human approval in the world be only like pouring more water in the ocean? When I am focused on my calling in Christ, I am freed from needing human opinion play more of a role than it is designed to play. I can appreciate encouragement for what its worth, learn from criticism however I can, and at the end of the day, say, “Jesus, your opinion is ultimately all that matters.” Thank you, Lord, for outweighing the universe. Keep our eyes upon You, because then everything else falls into its proper place.